The wind has picked up a little from yesterday but nothing could dampen the spirits of our eager clients as we head on down to the harbour to launch our first trip of the day. 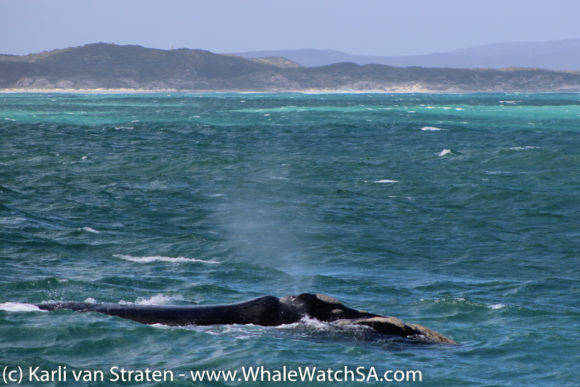 After a fun ride out towards Uilenkraalsmond, we found what we were looking for…A beautiful mother and calf pair of Southern Right Whales. 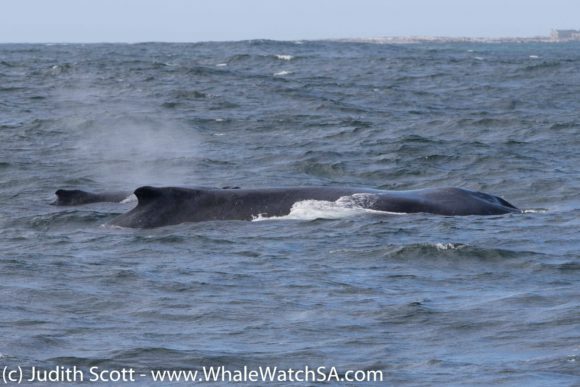 These two were taking advantage of the swell, enjoying their time at the surface as they slowly cruised through the area. For this little calf, the world is still a mystery with so much to discover. 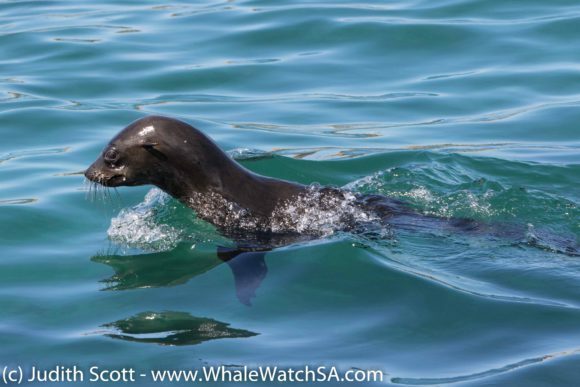 After only having been born a few months back, the mother will have to teach this little one a couple more things about life as a whale before they move towards their feeding grounds in Sub Antarctica. We spent a gorgeous few moments with this pair before moving on with our tour. 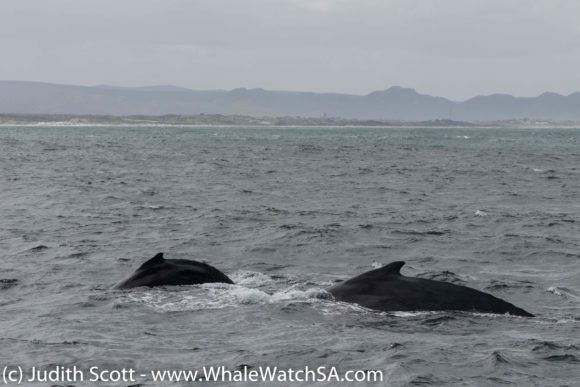 Our next sighting was equally as special when we found yet another mother and calf pair but, this time, it was 2 Humpback Whales. This gorgeous baby has already made quite the journey, as he was most likely born in the tropical waters off the coasts of Mozambique or Madagascar. 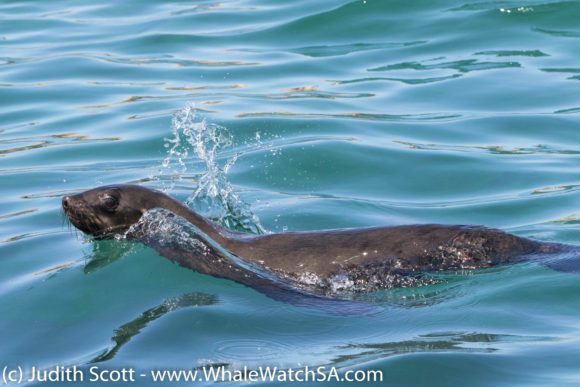 Something awesome that was somewhat recently discovered about little Humpbacks is that they may “whisper” to their mothers to keep contact whilst swimming. The reason for whispering and not being loud and proud? Potential predators. Orcas are known to hunt little Humpbacks so it is believed that they attempt to be a little more discreet to not attract any unwanted attention. 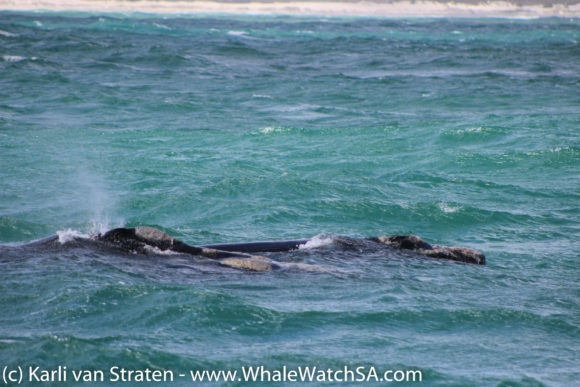 We got to watch baby and mom surface numerous times, with a tail or two appearing as the whales took deeper dives. 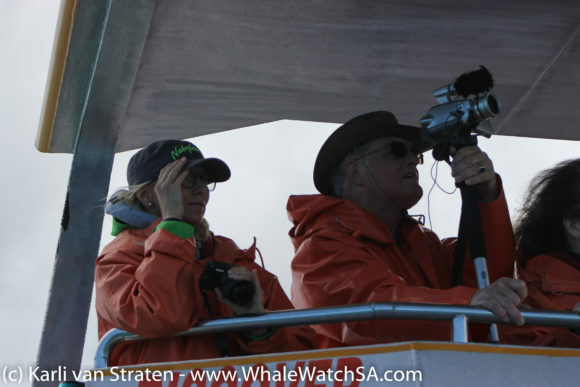 Humpbacks are pretty famous for showing off their flukes, which can be used to identify individuals. 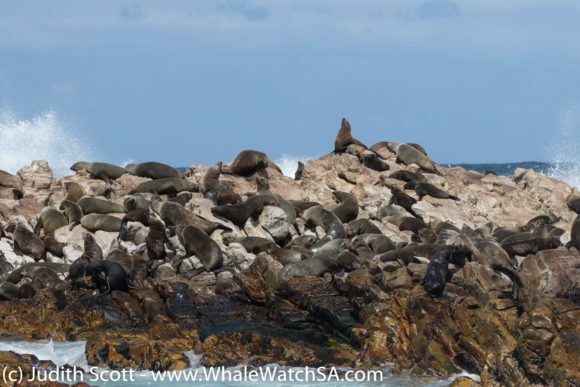 After spending some quality time with this pair, we made our way towards Dyer Island for our daily dose or Cape Fur Seal. 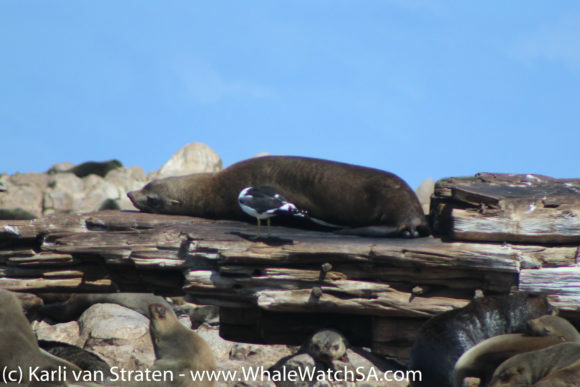 On the way, we spotted a few African Penguins in the water which we also checked out for a bit. 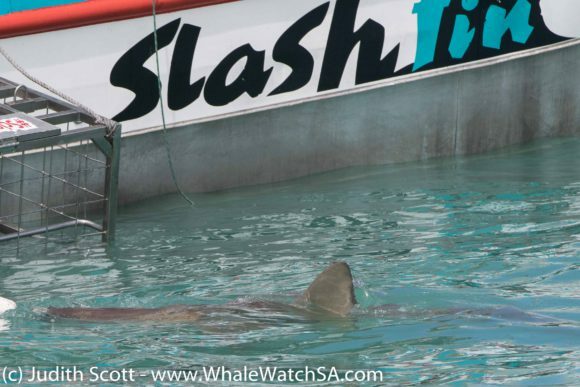 On our way back in, we took a stop at our sister company, Marine Dynamics where we were lucky enough to be able to show our clients a Copper Shark or two, including a particularly large individual. 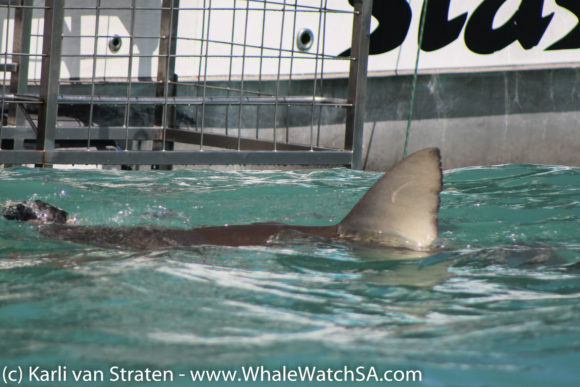 Our second trip also got to see 2 of these “Coppers”, who are also known as Bronze Whalers or Narrow Tooth Sharks. 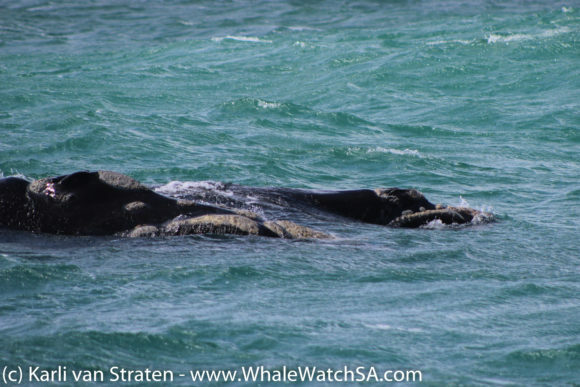 We also had a beautiful whale sighting, finding yet another Southern Right Whale and her calf in shallow water. This guys were really relaxed and playful, with both mom and baby rolling onto their backs. 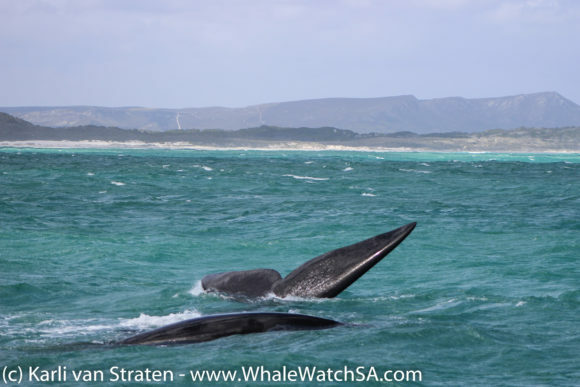 The calf, dwarfed by the size of mom, also gave us a special surprise when it exposed its gorgeous tail fluke whilst fooling around next to its mother. As if two great trips was not enough excitement for one day, when we got back from sea, we were given the most awesome surprise from some return clients. 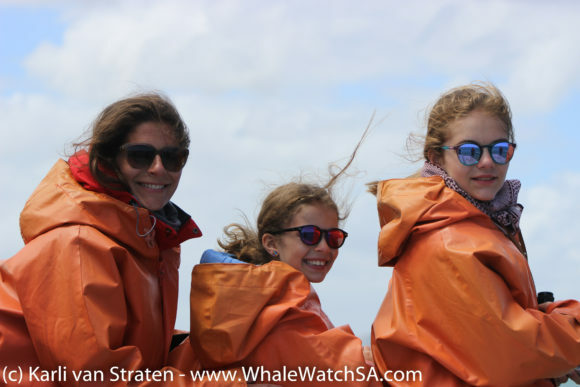 Marc and Daniela joined us last year, this time, to shark cage dive and whale watch whilst on holiday. 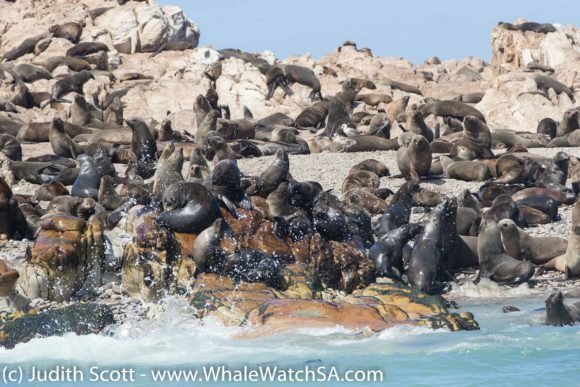 After hearing about the Dyer Island Conservation Trust and our efforts to help conserve our majestic Marine Big 5, this amazing couple decided that they wanted to leave a legacy in our little corner of paradise. In July this year, they decided to have a wedding with an incredibly selfless and beautiful twist, asking their guests to skip the wedding gifts and instead, give a donation towards our animals. 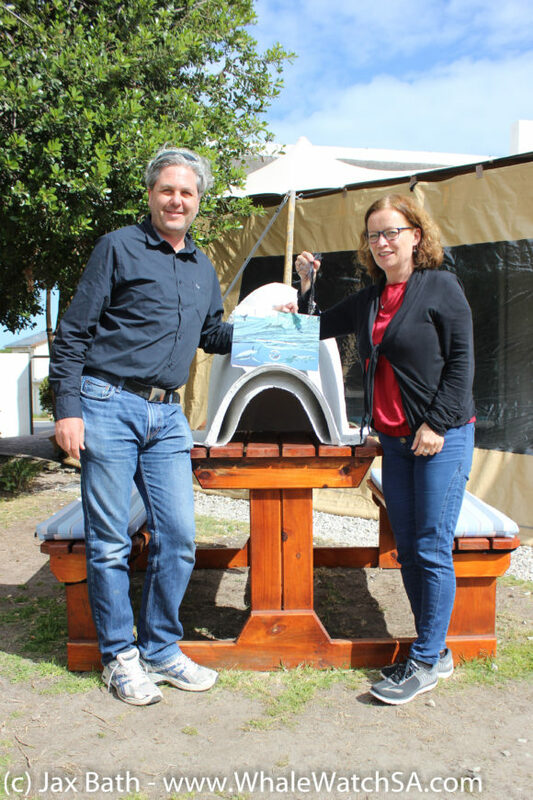 Their generosity amounted to an amazing R4 500, 00 for our Conservation Trust. We could not have asked for a better end to the day.